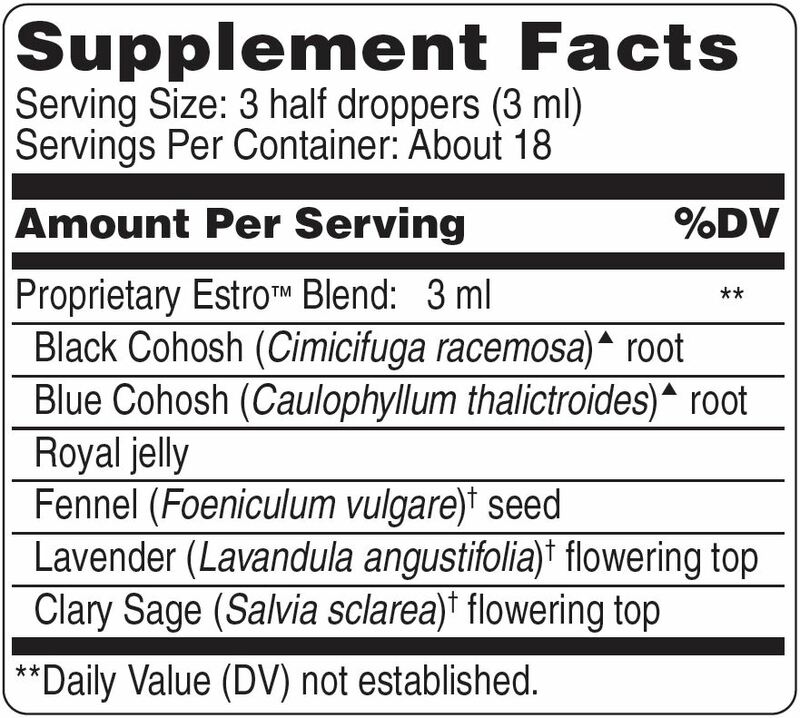 Estro™ is an herbal tincture formulated to support the female glandular system and to foster a normal, healthy attitude during PMS. * It contains plant-derived phytoestrogens, including black and blue cohosh, which are used extensively in Europe, along with clary sage essential oil, which contains sclareol, an essential oil phytoestrogen. Take 3 half droppers (3 ml) two to three times daily in distilled water, or as needed.